Edward Verdun Watkins began his rugby at Bedwas before moving to Cardiff, playing 151 games for Cardiff between 1934 and 1939, scoring 10 tries. His international debut came in 1935 against the New Zealand All Blacks, the first of eight Union caps that he would win. 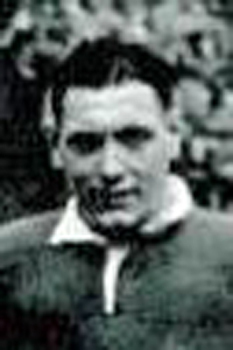 In March 1939, at the end of the Home nations campaign he ‘went North’ joining the Wigan from where he won three caps with the Welsh Rugby League team. Originally he served as a Policeman (stationed in Porth) and then he became a School teacher. Eddie Watkins passed away in Caerphilly 1995 at the age of 79.